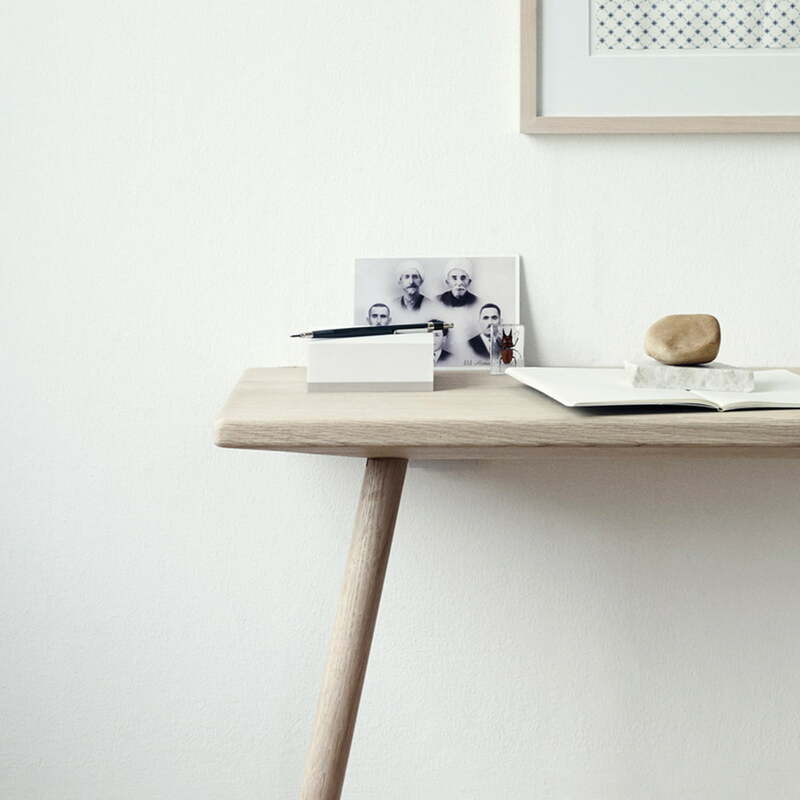 Designer Christina Liljenberg Halstrøm reduced the Georg Desk by Danish manufacturer Skagerak to its essentials. The table is completely made of solid oak wood with round legs and rounded edges. The slim desk is intended to lean against a wall and it therefore doesn't need screws to be mounted. The leaning furniture is thus a space-saving surface for the living room, hallway or bedroom - depending on where a practical working desk is needed. The piece of furniture is suitable as a flexible workspace for your laptop or tablet or as a tray for books and newspapers. The clear design of the Georg Desk keeps your office organised, avoiding a stressful environment. The flexibility of the Georg table is maximised by its minimalist design because it can change its place in an instant. 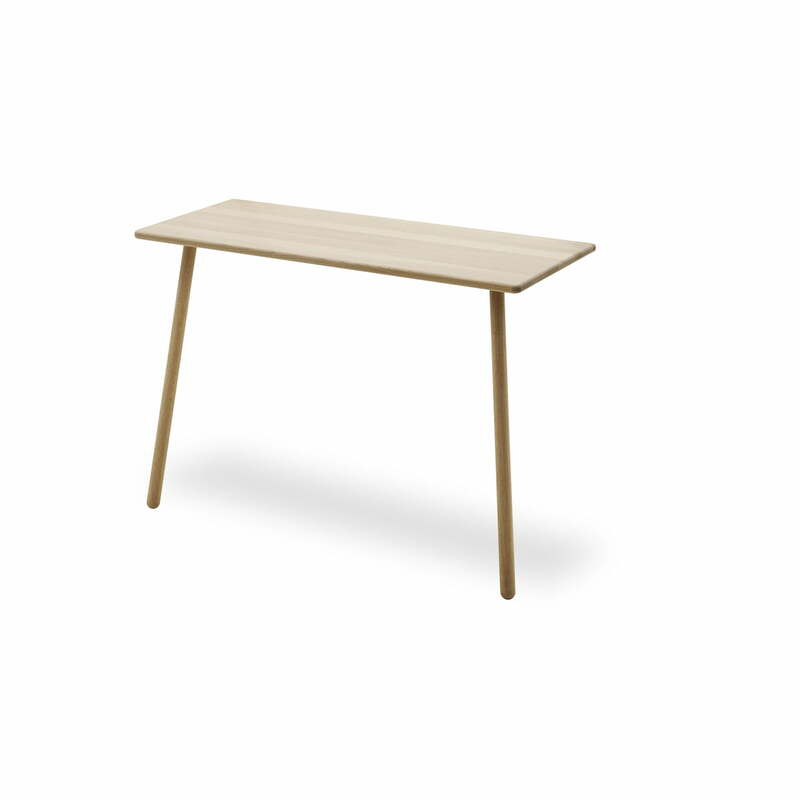 The desk can also be complemented with the Georg Drawer, which is installed at the right or left side under the tabletop. For the Georg series by Skagerak, Christina Liljenberg Halstrøm added a new meaning to occasional pieces of furniture, making them characteristic furnishing elements, which they deserve to be. The furniture of the Georg collection with unusual shapes and reduced outlines are made of FSC-certified oak wood, which comes from verifiable sustainable foresting. In the variant of natural wood, the design piece by Skagerak adds a hint of naturalness to the ambience, while the black version looks noble and elegant. In contrast to the Georg Console Table, the desk offers a larger surface and the possibility of assembling one or two practical drawers. Details drawers aren't included in the delivery! 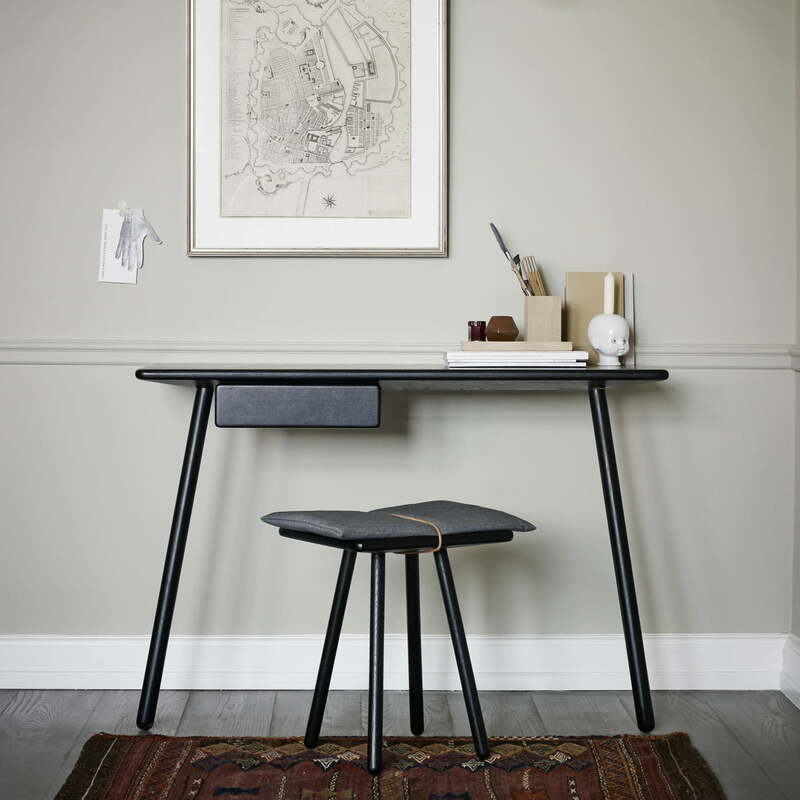 Single image of the Georg desk in black by Skagerak. This piece of furniture is suitable for slim rooms as well as usable as additional piece of furniture in the living room or the bedroom. The drawer Georg is available separately. 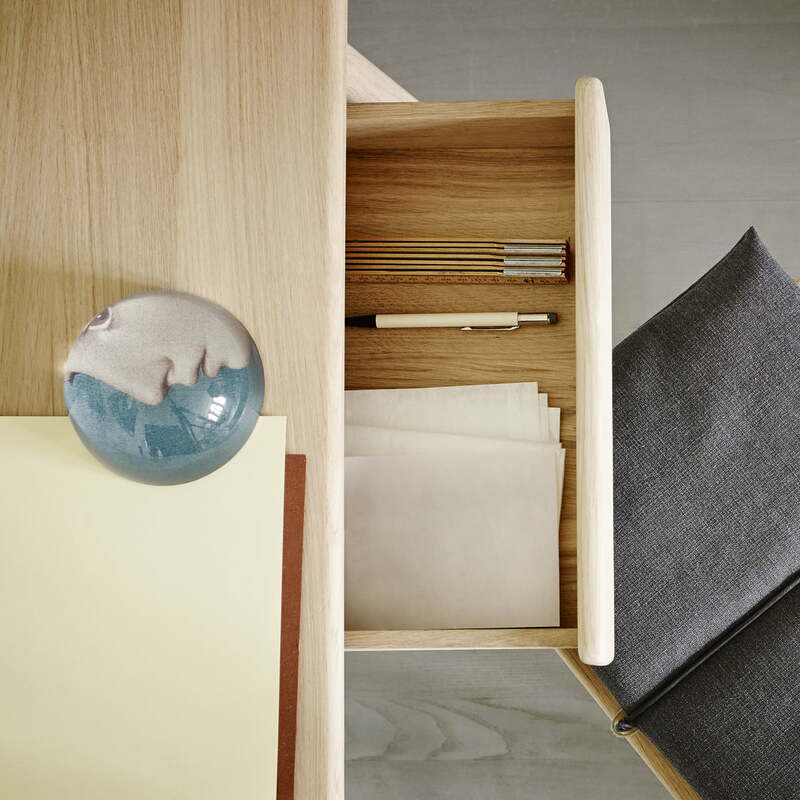 Skagerak offers a drawer as another module for the Georg desk, which can be installed alone on the right or the left side of the desk or together with another one under the table top. This is how the reduced form is perfectly exploited by Georg.